Beautiful fish Man! Congrats again! If it looks like a duck, and quacks like a duck.....it's probably a duck. Location: 18' Nitro 482SC, complete with Esox slime! where did you catch those. I still have never caught a musky yet. P.S. 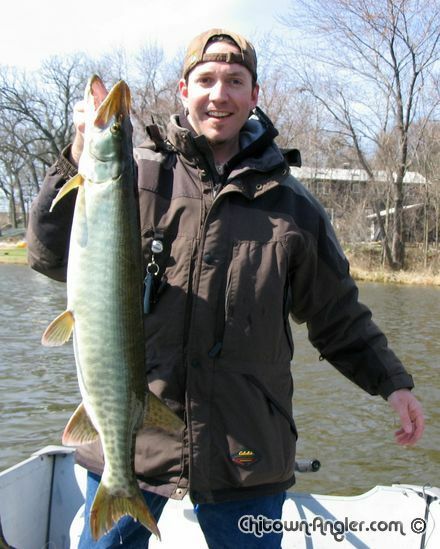 I too have never caught a muskie. Calling fishing a hobby is like calling brain surgery a job. Until fish can talk, it's all just theory. I don't go back for hats. I'm sure those toothy critters were putting a mighty good bend to that 7' St Croix you be casting away with. You wouldn't have been using one of them there walleye miner lures your so fond of? Again..........Nice fish Mike!!!!! I know exactly where you were, but.............You know how that goes on the chain......Ya still got to get them to Bite Beautiful fish Bro!!!!!!!!! i live off the south chain, where is that? Those are some mighty fine Chainer's. Could of used one of those to win the IMTT last weekend on the Shelb. "If you want the ultimate, you've got to be willing to pay the ultimate price. It's not tragic to die doing what you love." I'm curious of something though....were these fish netted? I'm not taking any digs at you by asking this. My intentions are different here. They look to be in excellent shape other than their tails which is sometimes a result of them spawning. I've been wondering for a few weeks if they wrapped it up yet. Any other unusual marks on these fish that could have came from spawning? Thank you for taking good care of these fine future trophys. Great fish it good to see them so early in the season. I keep saying I'm going to get out but work keeps getting in the way,I hope your whole season goes as Well as this trip. 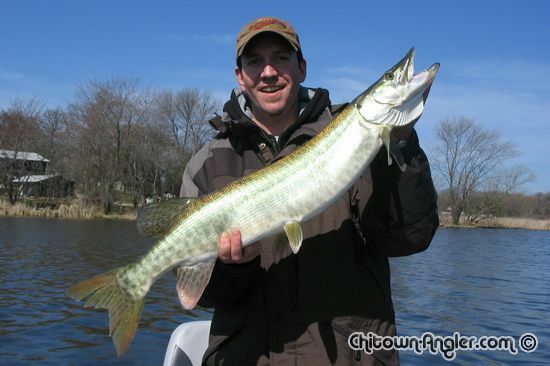 Chitown-Angler was started on February 10, 2003 and has received 207551328 page views in total since that date.